Now that the cold snap is in full swing we've all got our eye on this gorgeous Amber wax jacket from Henri Lloyd. 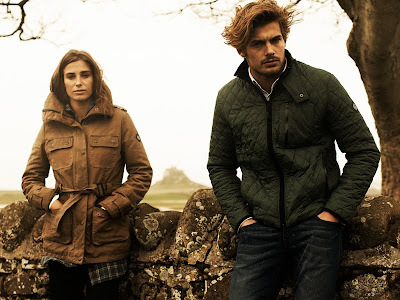 Staying true to their roots the jacket is 100% Made In England, from the design, pattern, fabric and manufacturing. With details giving a nod to their sailing heritage, we can guarantee that this will keep you warm, comfortable and protected from the elements. If Alexa can pull off that preppy heritage chic, so can we. We can just see ourselves wearing it on a nice country walk with a handsome rugged man...well we can dream.